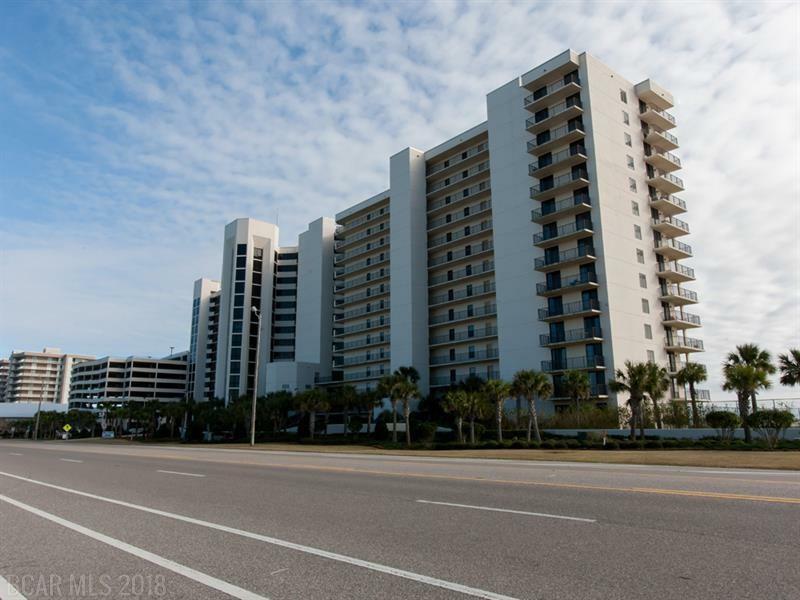 OVER $40,000 ALREADY ON THE BOOKS FOR 2018 ~ Cozy Two Bedroom Two Bathroom Gulf Front Condo With Spacious Balcony Offering Expansive Unobstructed Views of The Gulf. Perfect For Entertaining. Condo Features: Tile Flooring Throughout Entire Unit. Private Gulf Front Balcony Accessed From Both Living Room and Master Bedroom. Covered Parking. Phoenix X Complex Offers First Class Amenities To Include: Gulf Front Outdoor Pool, Kiddie Pool, Indoor Pool and Hot Tub, Fitness Center, Hot Tub, Sauna, Tennis and Racquetball Courts. Prime Location. Complex is Located Next Door To The Flora/Bama Lounge. Just a Short Distance To Shopping, Restaurants, Beaches and More. Don't Miss Your Opportunity To Own A Piece of Paradise.